From little acorns mighty oak trees grow! 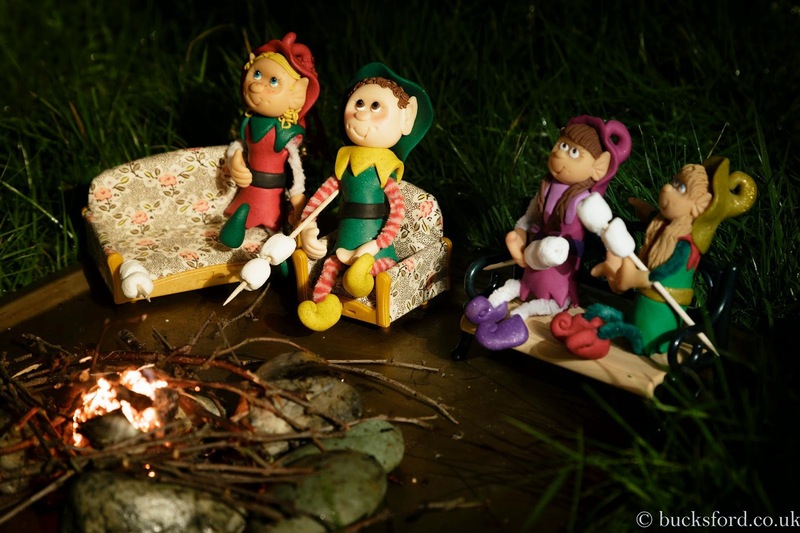 Wouldn't it be funny if we made a little campfire and the elves were sat around toasting marshmallows. So this thing gets more and more complicated and involved multiple elves!! Several of Miss R's friends have elves made by the same lovely lady and our germ of an idea (I say our - I mean mine but Mr H and I cannot agree on this and it could possibly be cited in divorce proceedings next year) became 'wouldn't it be funny if there was an elf get together!' All the elves are different....but the same if you know what I mean. They are clearly from the same 'family'. The problem was that because this would take place at night we would need photographic evidence to leave for the kids in the morning and therefore last night saw two grown men of high intellect, scuttling around my friends garden trying to set a teeny tiny campfire. The original plan had been to meet up at the local lake to set the scene but since it is known for drug deals this got vetoed fairly promptly and the plan was moved to a back garden! "There are 2 grown men in my garden trying to photograph 4 small elves round a campfire toasting marshmallows. Oh how sunday nights have changed." "have you been smoking mistletoe?!" 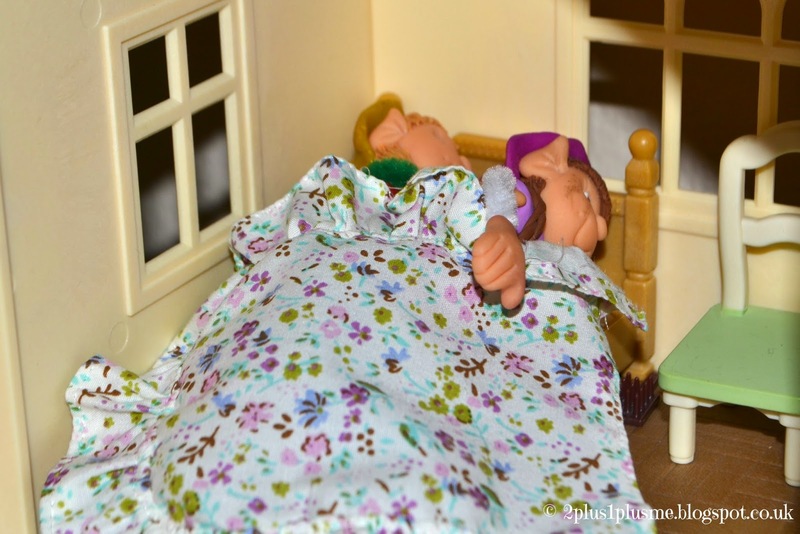 The children came down in the morning to find the elves snuggled up in their bed in the Sylvanian Families house that they have gained squatters rights to over the last few weeks. The photo was next to them. 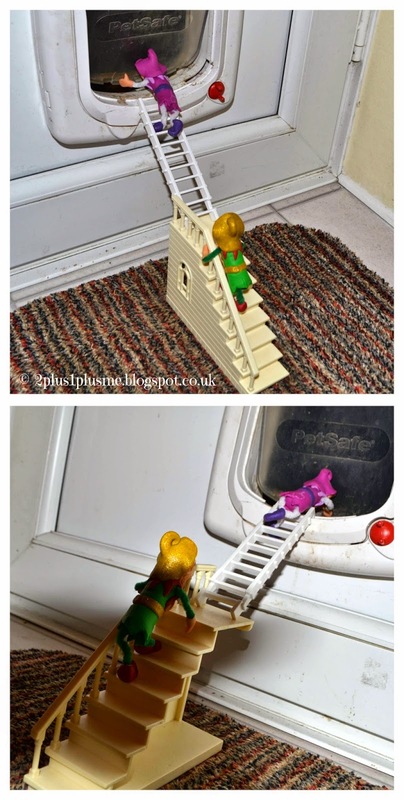 Not content with that Mr H thought it was important to stage exactly how the elves got out and so here it is even though the kids didn't see this bit.. The girls had absolutely no idea who the other elves were until at school the following day when their friends took their photos in for show and tell and then discovered that the elves were their friends elves. This sure takes some beating! Everything from here on in will be a let down!